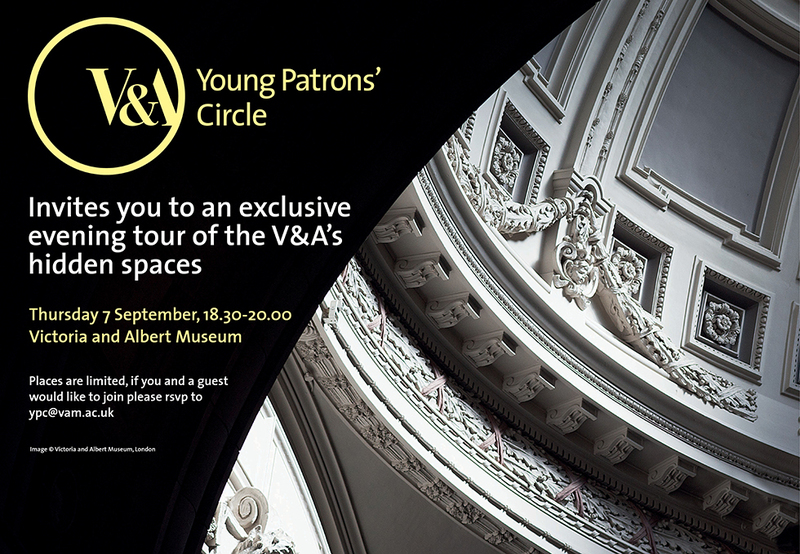 V&A Young Patrons' Circle Co-Chair, Faaiza Lalji, Harvard '13, invites you to preview the group over an exclusive tour of the V&A's hidden spaces. The V&A Young Patrons' Circle is a dynamic group of art and design supporters between the ages of 20 and 40 who share a passion for the designed world and a love for the V&A. This vibrant network of individuals enjoy behind-the-scenes access at the V&A through curator-led tours, fashion shows, visits to artists’ and designers’ studios and private collections, and invitations to selected private views and exclusive social events. By supporting the Young Patrons’ Circle you will help the V&A to continue championing exciting programming and exhibitions, acquiring new works, conserving our collections, and creating excellent learning experiences and opportunities for all.